'Regardless of your level of obstetrics and gynaecology knowledge and experience, this book will most definitely have something to offer you. '- Tiago Villanueva in his Foreword. Undergraduate medical students often struggle with at least some of the specialty elements of their studies. Some face a further challenge with the advent of the Medical Schools Council Assessment Alliance (MSC-AA, formerly known as UMAP), with a move away from testing specific clinical facts to an assessment focused on preparing to be a foundation doctor and the knowledge such a trainee needs on a daily basis. 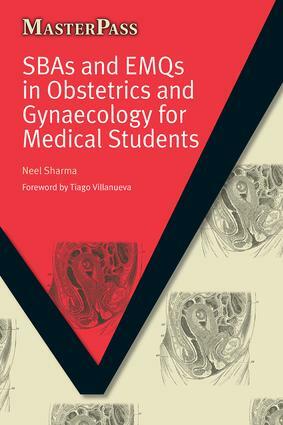 Neel Sharma has written three self-assessment books - on psychiatry, obstetrics and gynaecology, and paediatrics - designed to help students tackle both the new form of assessment as well as the traditional style of examination. Questions covering all common presentations are included in SBA and EMQ formats with relevant, concise explanations as answers.